About 200 inmates rioted at Folsom State Prison and shots were fired by guards to quell the disturbance. Seven inmates were hospitalized but officials said it wasn't clear how many suffered gunshot wounds. 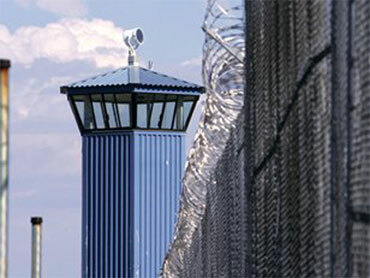 Correctional officers opened fire as they tried to break up rioting that erupted about 7 p.m. Friday in the main exercise yard, prison spokesman Luis Patino said. Prison officials initially said guards wounded five inmates, but Patino later clarified that that officials still don't know many were shot by guards, or if they were hurt in some other manner during the riot. None of the inmates suffered life-threatening injuries. No officers were hurt in the riot, which reportedly ended after about 30 minutes. Patino said he doesn't know what precipitated the violence. The prison was on lockdown as an investigation got under way. The prison, made famous in the Johnny Cash song "Folsom Prison Blues," has been hit with sporadic violence in its 130-year existence. Prison officials described most of those injuries as bumps and bruises. None were life-threatening, although the inmates were sent to area hospitals. Opened in 1880, Folsom State Prison is California's second oldest prison, primarily housing medium security inmates. The prison also operates a minimum-security unit and a transitional treatment facility. The facility's website said it has a custody staff of 643, with 3,540 inmates in custody, and located about 20 miles east of Sacramento.